MFYC offers an inclusive, performance-based music education program with a strong multicultural focus. We strive to create a positive musical experience for all children. Performance-based music education that introduces musicianship. Choristers build their basic music skills in a fun and interactive environment through repertoire that is appropriate for beginning singers. 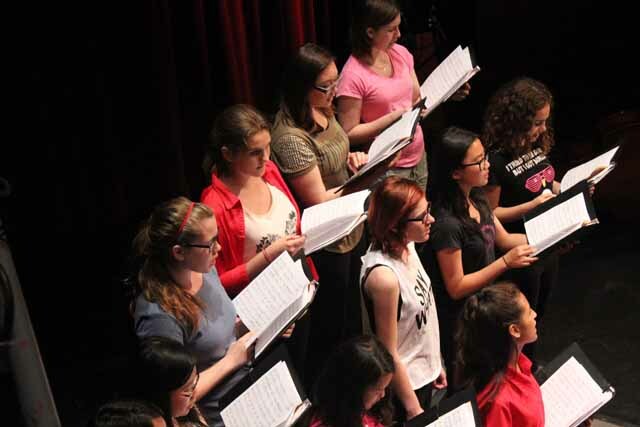 Choristers perform their own repertoire at all Mississauga Festival Youth Choir concerts and also sing selected pieces with the other choir levels. Our emphasis is on creating a positive musical experience for all children through music that reflects our multicultural community. Performance-based music education that encourages continued development of musicianship skills. 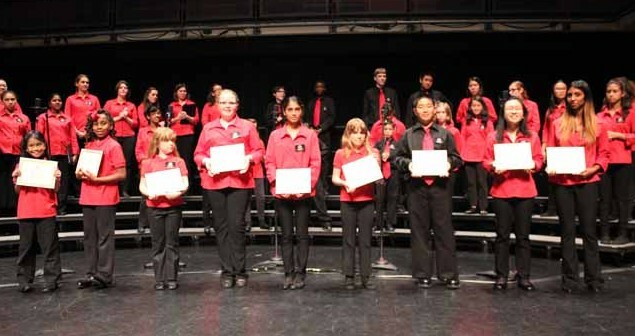 Choristers perform their own repertoire at all Mississauga Festival Youth Choir concerts and also sing selected pieces with the other choir levels. Choristers build on the basics with more emphasis on vocal technique, aural development and music reading skills through a more challenging multicultural repertoire. Choristers engage in choral singing of a higher performance level with a focus on challenging repertoire that reflects our multicultural community, while continuing to broaden their own musical skills and experience. Choristers perform their own repertoire at all Mississauga Festival Youth Choir concerts and also sing selected pieces with the other choir levels. Chamber Choir singers are selected from within Cadenza Choir and rehearse with both groups. This level focuses on performing mostly a cappella repertoire and may have additional performance opportunities. At this level, choristers are also encouraged to develop their leadership skills by learning how to mentor younger choristers.